While many people use the terms interchangeably, jails and prisons have different functions and patient populations. A jail is a correctional facility usually operated by the local city or county government that holds an arrestee awaiting trial and sentencing. Jails can also house those convicted of a crime with sentences lasting less than 12 months. Rather than move them to the prison system, they serve out their sentence in the jail location. The patient community includes a large percentage of persons withdrawing from a variety of substances and may have acute conditions related to the circumstances of their arrest. Jails are more likely to have detainees with untreated mental conditions and suicide is more prevalent. A health screening is performed on individuals booked into the jail setting. Stabilizing any health condition is a priority in this setting. A prison, on the other hand, is a correctional facility operated by the state or federal government for those who have been tried and sentenced. Inmates transfer into a prison system from a jail system through a reception process that evaluates and classifies the individual as to health need, functionality, and security level. Prisons have a range of security levels depending on the type of sentence of the inmate, usually based on the degree of potential for violence. Leveling ranges from minimum to medium to maximum security (where death row and highly volatile/violent inmates are housed). By the time an inmate reaches the prison setting substance detoxification has taken place and acute conditions stabilized. Prison nursing usually involves long-term management of chronic conditions and ambulatory care. Although inmates can be moved within the system for security purposes, they will generally be in a long-term relationship with their care providers. 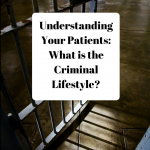 Prison or jail, sentenced or pretrial, no matter the status of your patients, it is best to avoid knowing about their criminal activities, other than security level. As health care professionals, our ethical codes require us to establish a trusting patient relationship to deliver care. Knowing too much personal information can make it difficult to see the patient behind the criminal. Which Environment is Right for You? Nurses who end up enjoying the jail environment like a fast-paced constantly changing situation. These are usually the same nurses who thrive in an urban emergency room as there are similarities in the type of conditions encountered. Jail nursing can involve interesting assessment situations and a good bit of trauma evaluation. Major conditions addressed include substance withdrawal, contagious disease, and suicide prevention. The prison environment has more opportunity for planning and scheduling as the inmate community will be around longer, generating the ability to develop a therapeutic relationship. There is greater involvement in medication management, patient education, and diagnostics. Nurses who value a long term relationship and the opportunity to improve health outcomes over time tend to prefer prison nursing as a correctional specialty. How about you? 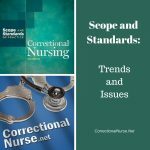 Which type of correctional nursing do you prefer and why? Share your thoughts in the comments section of this post. Nice article to explain the difference. Most people need this explanation before they start work or as they call for an interview. The general public is always confused. 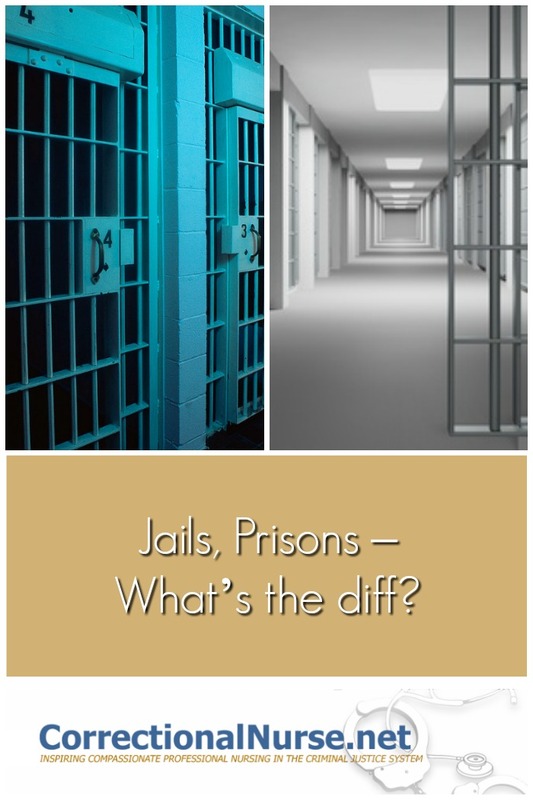 Jails, Prisons - What's the diff?